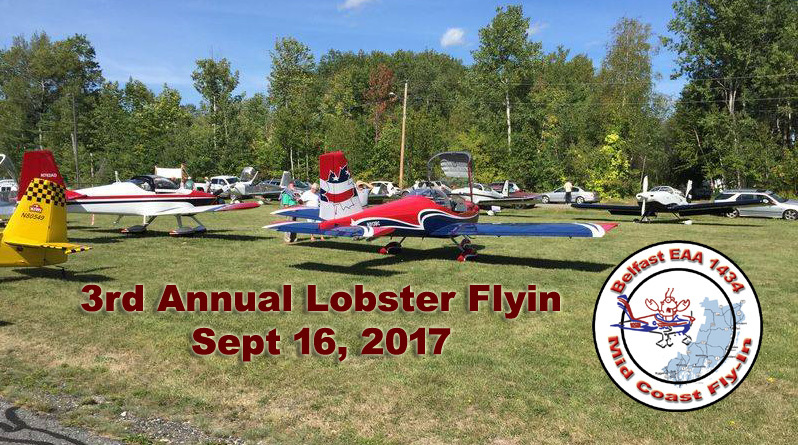 Plans are underway for the 3rd Annual Lobster fly-in hosted by Belfast’s EAA chapter 1434. We have put in an order for great weather over the east coast for great flying to and around Maine. Last year we had 75+ planes attend and 50 were RV’s. Nine states were represented and Canada. I have already been contacted by a few Pilots in other states asking for room and car information, as they are planning on turning our Fly-in into a mini vacation. Sept is a great time to visit the coast of Maine.